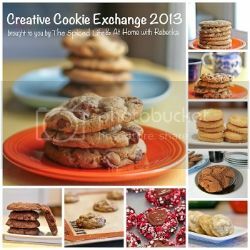 The Creative Cookie Exchange was established by Laura (The Spiced Life) and Rebecka (At Home with Rebecka), with the idea that we will all have fun baking cookies together. Each month an ingredient or theme will be selected and then we will all be baking some amazing cookies and sharing them with you on our blogs. The theme selected for this month is Back to School. As you might have realised I love to bake, so when I saw this cookie exchange I knew I wanted to take part. I like for my son to have something that is home made in his lunch box, and I have been wanting to try these sugar cookies out so here was the perfect opportunity. Preheat oven to 180c degrees. Sift flour, baking powder, and salt into a bowl; set aside. Put sugars and lemon zest in the bowl of an electric mixer fitted with the paddle attachment. Mix on medium speed 30 seconds. Add butter; mix until pale and fluffy, about 1 minute. Mix in eggs, 1 at a time, and then the lemon juice. Reduce speed; gradually add flour mixture, and mix until just combined. Scoop dough out to about a large marble size, place cookies 3 cm apart on parchment-lined baking sheets. Flatten cookies slightly with a spatula. Sprinkle tops with sanding sugar, then lightly brush with a wet pastry brush; sprinkle with more sanding sugar. Bake cookies until golden, about 15 minutes. Let cool on sheets on wire racks for 5 minutes. Transfer cookies to racks using a spatula; let cool completely. Cookies can be stored in an airtight container at room temperature up to 3 days. 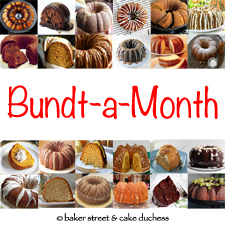 Write a blog post with recipe and original photo (please include some language here specific to that month's theme). We would like the recipe to be one you’re making for the first time, and photos must be original. 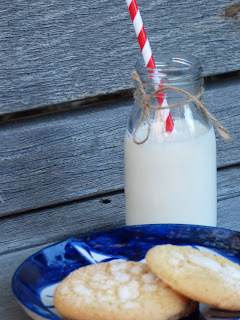 Make a good faith effort to visit and comment on the other cookies in the Linky party. We alllove cookies so that should be easy! 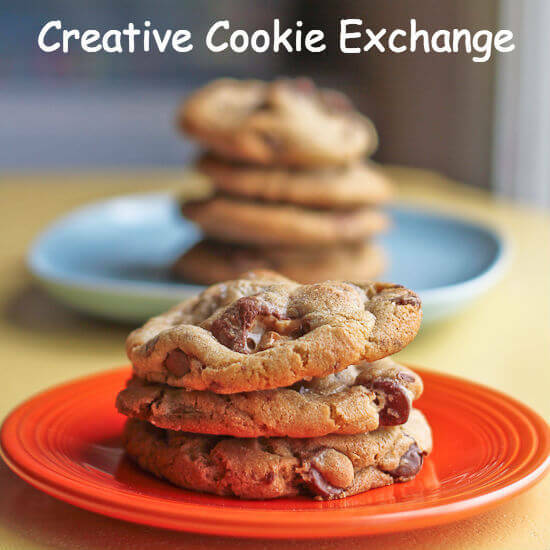 LIKE the Creative Cookie Exchange Facebook Page. FOLLOW the Creative Cookie Exchange Pinterest Board. 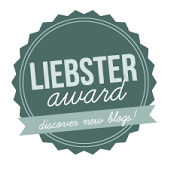 LINK your blog post below using the Linky tool. I would also like to thank Amanda from Graham's Landing for sending me some lovely gifts I had won in her first giveaway. I love homemade cookies! This recipe looks delicious. Thanks for sharing it. I wish I had a new recipe to share for this one but my goodness I about fell over when I saw your recipe! All you had to say was sugar and lemon! Yum! Thank you for sharing this one!!! Yum....I'll have to try these! Love anything lemon. Mind if I take one? These are mouth watering, there's nothing better than a homemade biscuit/cookie. Your biscuits look very tasty! Love the idea of the link up and am tempted, but trying hard just to keep up with the scavenger hunt! Ooohhh yum! I think you need to construct a cook book. These look delicious, thanks for sharing. Those sound great. I love sugar cookies but have never tried them with lemon, I think it would be delicious. I love your new header and those cookies look so yummy too. This is a great cookie! I love the citrus flavor of lemon, it brightens up the cookie. This would be perfect for my lunch! I think I'm putting on weight just reading your blog, Jill! I love to bake too, but I can't resist what I bake. So I have to work out more! Terry and I are working our way through a peach pie I made on Sunday afternoon. I need to bake cookies for Thanksgiving dinner ~ so I'll be back here looking for a recipe! Take care! Love your recipe and lovely photos. I think I might have to join in the cookie exchange. Might give me the push I need to try some recipes I've been wanting to bake for a while instead of same old! I LOVE these cookies! Yum! Thanks for joining us! Lemon + sugar cookies = heaven. Loveeee this recipe!